Joel Salatin is one of the most well-known sustainable-agriculture advocates in the U.S. today. More importantly, he’s a full-time, third-generation farmer in Virginia’s Shenandoah Valley. His family farm, Polyface, Inc., services more than 3,000 families, 10 retail outlets and 50 restaurants with “salad bar” beef, pastured poultry, “eggmobile” eggs, “pigaerator” pork, forage-based rabbits and forestry products. His mother, Lucille; wife, Teresa; daughter, Rachel; son, Daniel; daughter-in-law, Sheri; grandsons, Travis and Andrew; and granddaughter, Lauryn work together full-time on the family farm. 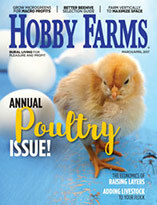 Hobby Farms: When and how did you find yourself becoming a voice for sustainable and pasture-based agriculture? 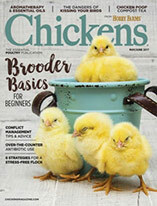 Joel Salatin: It really started in about 1989 when our family hosted a Virginia Association for Biological Farming field day on our farm and Roger Wentling, a columnist for The Stockman Grass Farmer magazine, attended. He wrote a column about the day, and it stimulated Allan Nation, editor/co-owner of the magazine to come to the farm for a visit. He asked me to write a monthly column for his new and bankrupt magazine, and I agreed. A year later, he convened the first national grass-farming conference in Jackson, Miss., and asked me to speak. The rest is history. The interest in the pastured poultry was high, and with this initial exposure, the phone started to ring. To show how naive I was, I decided to write a pastured poultry manual in order to make the phone quit ringing. That only opened the floodgates, and we sold 1,000 of those simple little photocopied manuals in one year. The Pastured Poultry Profits book followed in 1993, and the other books came as I began trying to answer the hot question of the day. Teresa and I certainly never sought to be in this position, but we’ve been pushed onto this platform, and now we are just trying to be faithful with the responsibility on our shoulders. Perhaps it would be more honest to start further back, when my grandfather adopted organic gardening and invented the first walking garden sprinkler. This bestowed on my father an environmental ethic, to which he added a degree in economics. My mother was a debate coach, and I competed on debate teams both interscholastically and intercollegiately. That flair for public speaking, plus a gift for writing, combined with my love of farming to create a theatrical creative farmer. Let the show begin. HF: Did you realize early on that you’d some day be a public representative for sustainable agriculture? JS: I had no idea that my life would take this turn. All Teresa and I wanted to do was farm full time. But to make a full-time living on a small farm required direct marketing, value adding and keeping expenses low by in-sourcing our fertility and most of our energy (by solar power leveraged through photosynthetic biomass accumulation). Throughout high school, I sold my vegetables and eggs at the local Curb Market, a holdover from the depression era and precursor of today’s farmers’ markets but with wonderful food-police exemptions that allowed small-scale producers/processors to direct market an enormous variety of food items. This marketing gave me a profit and also leveraged my theatrical and public speaking gifts. As my backyard farm business grew, it attracted the attention of local media and eventually landed me in the winner’s circle at numerous 4-H events, even at the national level. I was always challenging the accepted industrial-production model promoted throughout 4-H programs. During that time, I devoured Mother Earth News magazine and libertarian political materials. That combination stirred me to righteous wrath when, wanting to come back to the farm full time, I was stymied because selling raw milk was illegal. I’d grown up on raw milk, always milked a couple of Guernseys and realized I could make a full-time living with just 10 cows selling at regular market prices. And I have never gotten over the fact that the food police kept me from farming full time as soon as I wanted to. And these regulations are much worse today than they were 35 years ago. That thousands and thousands of would-be local food producers are denied market access by these asinine regulations vexes my soul. And that drives me to encourage more people to grow and market these foods as the antidote to industrial food. HF: How can small-scale and sustainable farmers educate their community about their practices and their community’s food sources? JS: I think awareness is really a matter of successful prototyping and leadership. My dad always said, “Lead by example.” Although it’s easy for us to think about being victims and point fingers at them and they, really it’s just us. We’ve put ourselves in the situation we’re in, and we’re going to have to create the environment to get us out. That means that we need to do a great job at what we do. If you have a dirt chicken yard, for example, that won’t bring people to your cause. An overgrazed sheep pen or horse paddock won’t endear you to the neighborhood. Our practices need to be more attractive, more vibrant, aromatically romantic. A backyard pig pen, stinking and dirty, is not the way to lead. If I could say one thing to hobby farmers, it would be that as a group, we cannot chastise industrial agriculture when we have dirt livestock yards and odors emanating from our few animals—or weedy gardens and dirty kitchens, for that matter. Small can still be stinky, unsightly and unsanitary. We have to get our own act together so that neighbors and acquaintances can’t help but be drawn to our farms for their sensual appeal and to our families for their vibrant independency and captivating kitchens. We must look inward first before we can ever hope to change our communities. HF: There’s so much you need to know to have a successful sustainable and pasture-based operation. What’s the most important piece of advice you have for small-scale farmers? JS: Stay ecologically, economically and emotionally efficient. Animals don’t need a Taj Mahal shelter. It doesn’t have to be ugly, but it sure doesn’t have to be expensive. Shelter should always be either portable or built to accommodate at least 24 inches of deep bedding. Children need their own autonomous enterprises that succeed or fail independently of parental projects. This teaches entrepreneurism and completely changes chores from somebody else’s dream to an owned dream. The reason the average farmette turns over every five years is because it is normally such an economic drain. Just because you’re small does not mean you have to be inefficient. Stacking production, both animal and vegetable, creates synergistic labor flow and increases production per cubic foot. Controlling animals in small rotated spaces keeps ground covered and stimulates the pasture. Integrating the animals and plants, like running chickens over garden beds or using pigs to till some ground for small grain planting gets a lot of work done without expensive fuel and machinery. The beauty of a hobby farm is that it’s small enough to do some wonderfully independent things, like growing earthworms as chicken feed or harvesting comfrey as a perennial grain substitute. A smaller outfit is easier to turn around with innovation and experimentation. 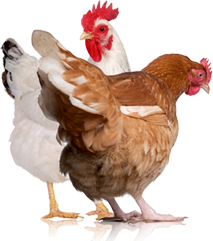 If you don’t have very many chickens, a significant sunflower bed and amaranth plot can contribute a huge percentage of the feed. Don’t forget sprouts. The point is that on a small scale, this can be done with little extra effort, and that keeps the expenses low. Typically, backyard growers say their costs are twice as high as it would cost to buy the product in the store. That’s only true if you’re not thinking independence, integration, stacking, synergy and complex relationships.